Team discounts are available to organizations in need of 5 or more courses. If you are unhappy with our course for any reason, our Empowerment Team will refund your purchase. Our course is intended to help you prepare to address the health concerns inherent in caring for others and the possible damage the microscopic world can inflict. Unlike traditional academic curricula, you will learn actionable ways to practice and prepare for the bacteria and pathogens you may encounter in your career. If you become exposed to bloodborne pathogens, you will have the knowledge to reduce the chances of disease transmission and protect others, including co-workers and patients, from possible infection. Can I complete my BBP course online? The short answer — absolutely! Our courses are made to fit the demands of your busy professional life. Many healthcare professionals are new to the concept of an online certification course because until recently, online certification was not an option. Our course adheres to the latest AHA guidelines and NHCPS has a national acceptance rate of more than 98%. If your employer does not recognize your NHCPS certification, or you are unhappy for ANY reason, we offer a 100% money-back guarantee. Fast, 100% online BBP training and certification provides you the freedom to complete your course from anywhere at anytime! National Health Care Provider Solutions allows healthcare professionals to meet their continuing education requirements without sacrificing their limited time to attend a weekend certification or recertification course. NHCPS provides convenient, flexible, accessible life support education programs. We lead the industry in online certification by providing the most updated, accepted, and convenient certifications available. Bloodborne Pathogens (BBP) Provider Handbook in PDF format is included, training is entirely online, and no clinical skills test is required. Included with your course is our Provider Handbook in PDF format for fast, convenient study anywhere. You are able to access your course material at any time, from your internet-connected computer, smartphone, or tablet, through your NHCPS account. If you prefer to have a physical copy with you, you are able to save and print your manual as well. No in-person skills test is required, and all training materials are included with our course. Exam review and proof of certification available immediately after passing. Upon completion of your Bloodborne Pathogens final exam, your results are calculated, displayed in your account, and emailed to you. A downloadable and printable certificate of completion is immediately available for proof of certification. Your certificate will display your name, the NHCPS logo, course completion date, expiration date, and validating signature. Unlimited exam retakes at no additional cost. You are not penalized if you do not successfully pass your certification exam on your first attempt. Your results are available in your account indefinitely for your review, and an exam recap is sent to your email address. Take all the time you need to review the study materials in your account, and compare your responses to the provider handbook. When you’re ready, you may retake the exam at no additional cost. What occupations typically need Bloodborne Pathogens? Your satisfaction is assured, backed by a 100% money back guarantee. 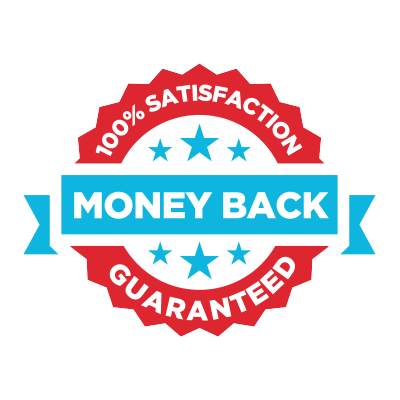 For your security and peace of mind, all of our courses include a 100% money back guarantee. If you are unhappy with our course for any reason, you can contact us for a full refund of your purchase (minus any shipping and material fees).